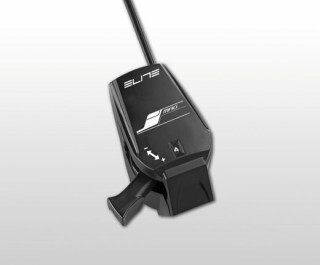 This is one of the new releases from Elite and has the name Smart B+. This means it is fully connected to the Elite software and apps to allow data driven workouts. 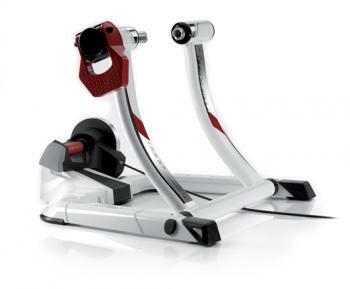 The Elite Qubo Power Pack turbo trainer provides 8 levels of progressive resistance via a power magnet with a large 1.7kg flywheel. The large flywheel provides a smooth pedalling performance, and the power magnet offers fine control over your resistance level. The trainer comes with a Training Program DVD to help you get the most out of your workouts. The training programs guide you as you ride and show you resistance level, pedal cadence and heart rate. The cycle trainer uses Elites Elastogel resistance roller that reduces tyre wear by 20% and noise by 50% compared to other traditional resistance rollers. It also fits 20” to 29” bike wheels that will cover most of the range out there. The Elite Qubo Power Pack trainer is compatible with Elites app that displays essential workout parameters, although additional sensors may be needed.